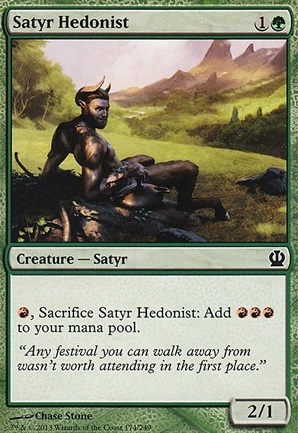 , Sacrifice Satyr Hedonist: Add to your mana pool. Best ramp cards I know of that are budget are going to be creatures. Elvish Mystic or Birds of Paradise if you can swing a few bucks. There are also Infernal Plunge and Generator Servant. Also Satyr Hedonist and Savage Ventmaw. They all combo fairly well and allow you great ramp potential. Having so many different things in low quantities makes this deck inconsistent. I would replace some of your cards for copies of better ones. 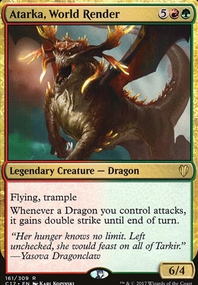 For example, I would replace Shivan Dragon for more copies of much better bombs like Atarka, World Render and Destructor Dragon. I also think that you need to balance the number of creatures that supply mana and the ones that can block or do damage effectively. Having cards like Llanowar Elves and Satyr Hedonist are great in a dragons deck, but when your opponent attacks you will either have to take the damage or block with those cards which will almost always result in them dying. Make sure you include enough cards that can protect them and you without major sacrifices. NOTE: The Cards at the front of each suggestion are the cards you should put in, not take out. 4x Wooded Foothills, taking out 4x Satyr Hedonists. 4x Stomping Ground for 4x Gruul Turf. 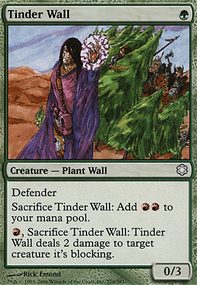 This uses Nissa, Voice of Zendikar and Doubling Season to make lots of little Plants into lots of big Plants quickly. So, not much change, but that little change makes a lot of difference. Also, Lightning Bolt needs to change. You need something that can kill something, no matter the size. Good Luck! I see you running effects like Second Harvest , a Doubling Season seems like it'd help this list. 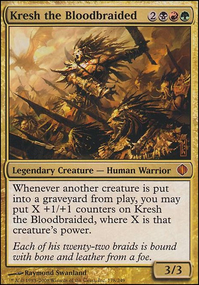 I'd also expand upon the token theme and integrate it into your combo strategy... perhaps running Xenagos, the Reveler , one of the Garruk PWs, Primeval Bounty , and a few other generators. Ulasht, the Hate Seed , Mycoloth might be worth slotting in. Also, Genesis Hydra can make for great plays throughout the early/mid/late game, and even if countered it's ability will still trigger on cast. Managorger Hydra can play nicely with doubling effects and gives you an early game threat to eat removal while you're building up. 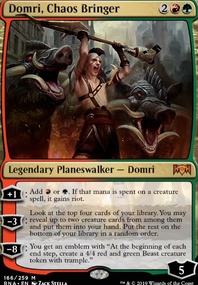 For ramp, I'd throw in Joraga Treespeaker , Satyr Hedonist, Voyaging Satyr (you can combo this card with Nykthos, Shrine to Nyx for amazing ramp ability, drop the large majority of your taplands. 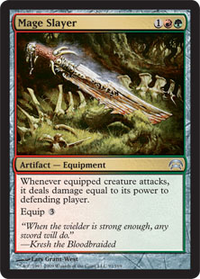 I'd certainly recommend Gaea's Cradle , but it has a value more than double of your entire list, so it may be something you consider adding waaay later on. Have you considered Torrential Gearhulk ? You can use it and other cards like it to recast an instant from your graveyard, which can reduce the amount of instants you need. For mana ramp, I see you have Sol Ring and some fetch cards, but consider using Opaline Unicorn, Manalith, Prophetic Prism, and Cultivator's Caravan. You can reduce both your fetch cards and some land cards with the con of having removable permanents. With the same mana idea in mind, other great cards for coloured mana are Elvish Mystic, Arbor Elf, Satyr Hedonist, Voyaging Satyr, Zhur-Taa Druid, Cabal Coffers, and other cards along those lines. Great looking deck regardless of anything I've said. I actually had a hard time coming up with suggestions. I recently played a game using my Jund Dragons deck and this situation came up. We didn't really see a ruling on it, so I'm asking here. I had out 3 lands, a Satyr Hedonist, and a Shaman of Forgotten Ways. I wanted to bring out a Swift Warkite, so I tapped a land for red, sac'ed my Satyr (+3 red), tapped Shaman (+2 black), and tapped my second land. I now have but one single Mountain untapped. Swift Warkite enters the battlefield, returning my Satyr to the battlefield along with it. Seeing that I had one Mountain left untapped, I decided to once again re-sac my Satyr to put +3 red back in my pool so I could bring out a Dragonlord's Servant. So this is where my question comes from, now that you understand Satyr hit the graveyard, came back, and is in the graveyard a second time this turn. 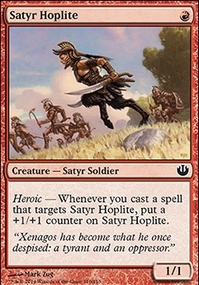 When my end step begins, does my Satyr remain in the graveyard or does he return to my hand because of the last sentence of Warkite's ability?